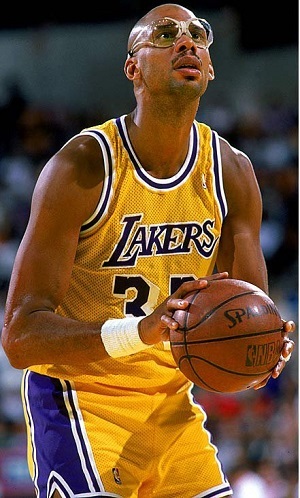 Abdul-Jabbar averaged 24.6 points per game in his NBA career. Where did the victory rank Tim Duncan among the sport’s all-time greats? What did the loss mean for LeBron James‘ legacy? How did the Spurs’ fifth championship in 15 years compare to the decorated franchise’s past accomplishments? And why did Finals MVP Kawhi Leonard not get the memo that grown men don’t wear cornrows anymore? During those debates a familiar set of names was thrown about, used as measuring sticks against which the series’ biggest stars were judged. There was Magic Johnson and Larry Bird, Bill Russell and Shaquille O’Neal, Kobe Bryant and Wilt Chamberlain. And of course there was Michael Jordan, the ever-present Jumpman shadow looming over everything that every player does on a basketball court. There was little to no mention, however, of the one player who could (should?) actually rank higher than Jordan. The one whose legacy should weigh heavier than Shaq and Wilt. The one who has accomplished more than anybody in the history of the game. Not for the first time and certainly not for the last, a widespread discussion of basketball legends managed to take place without Kareem Abdul-Jabbar prominently involved. 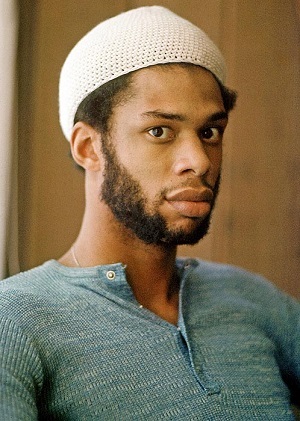 Six NBA championships, two Finals MVPs, six league MVPs, 15 All-NBA selections, 11 NBA All-Defensive Team nods, 19 times an NBA All-Star, three NCAA national championships (Abdul-Jabbar converted to Islam while he was a student at UCLA and later changed his name from Lew Alcindor), three Final Four MOP awards, three-time college basketball national Player of the Year, three New York City high school championships, NBA all-time leading scorer (38,387 points) and No. 3 all-time in rebounds and blocked shots. Those are just the highlights of Abdul-Jabbar’s resume — one that has oddly not become committed to the memories of as many sports fans as the lesser resumes of Jordan, Magic, Bird, Kobe and LeBron. The man who could easily be considered the best basketball player in history isn’t even universally considered the best ever at his position — often falling behind Russell and Chamberlain in the eyes of many, sometimes ranked below Shaq and Hakeem Olajuwon as well. Some would say Abdul-Jabbar wasn’t even the best player on his own team for significant chunks of his 20-year pro career (1969-89), considering he shared the court with Oscar Robertson in Milwaukee and Magic in Los Angeles. So imagine the reaction one would get for claiming Abdul-Jabbar is the No. 1 overall player in history; the one whose face should overshadow Jordan’s mug on basketball’s Mount Rushmore. Even a perfectly logical, fact-based, mathematically supported argument for Kareem is no match for the marketing and the myth of Jordan. A vote for Kareem will get your opinion filed away as pure hating, intentional contrarianism or flat-out crazy talk. Abdul-Jabbar converted to Islam in 1968 and changed his name in 1971. Because even though Abdul-Jabbar scored more points than Jordan, grabbed more rebounds, blocked more shots, made more shots, delivered more assists (look it up), won just as many NBA titles and more NCAA titles, and won more NBA MVPs and college POY awards than His Airness, to the average fan there is no way in this world Kareem could be higher on the totem pole than Jordan. But my problem isn’t that Jordan is universally regarded as No. 1 while Kareem has to settle for second. I wish that were the case. What I see more often, and what bugs me, is these “Who’s the best?” debates ending with Abdul-Jabbar landing somewhere around sixth or seventh. Now that’s crazy talk. The first thing that gets in the way of Kareem being ranked correctly is his size. Conventional basketball wisdom tells us that taller players need less skill to succeed at the game, especially when it comes to seven-footers. They don’t have to dribble the ball as often, they don’t have to shoot from as far away and they’re not expected to pass as well as a guard, because their height can mask some of their imperfections. Which is true to some extent — nobody is signing up for Dikembe Mutombo Ball-Handling Camp or buying Dwight Howard shooting DVDs — but it does a disservice to those big men who are actually skilled. It creates a misconception that bigger players are only productive because they’re bigger and have an unfair height advantage. Kareem was certainly an exception. His game wasn’t about sheer power and simply using his height. 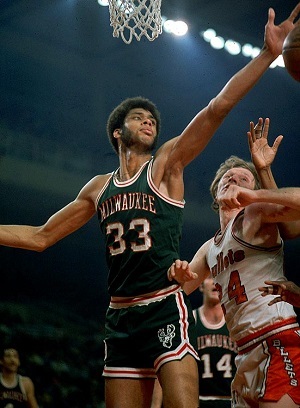 On his way to averaging 24.6 points, 11.2 rebounds, 3.6 assists and 2.6 blocks in 1,560 NBA regular-season games, Kareem displayed a grace, fluidity, quickness and coordination that goes against the stereotype of the lumbering big man. Aesthetically and athletically, his skill was just as crucial to his game as his size. Another thing that has hurt Abdul-Jabbar’s legacy is that he happened to play with some great teammates. And not just any great teammates, but Oscar and Magic, the two greatest point guards of all-time, whose legacies were built on the idea that they made their teammates better. Never mind that every NBA champion has benefitted from playing with other great players. Never mind that Abdul-Jabbar won two of his six league MVP awards with neither Oscar or Magic on his team. Never mind that he won the other four MVPs with Oscar and Magic on his team (implying that Kareem was better than them in those years). It’s true that Kareem never won a championship without Oscar or Magic on his side. It’s also true that Oscar and Magic never won a championship without Kareem on their side. Then there is the idea that Abdul-Jabbar was a one-trick pony whose famous “Skyhook” shot was the real-life equivalent of a cheat code in an NBA 2K video game. So smooth and effortless was the Skyhook (when Kareem did it), so un-blockable and so accurate was his signature move, that it actually takes away from some people’s appreciation of Abdul-Jabbar’s game. He made it look too easy. But have you noticed that no one else has been able to make it look easy? Every seven-footer who has stepped foot in the NBA since Abdul-Jabbar has, at some point in their career, been taught how to shoot the Skyhook. Or at least somebody tried to teach them. And why wouldn’t they? It’s the shot that is synonymous with the NBA’s all-time leading scorer, and when it’s done right, is almost impossible to defend. And yet no one has mastered it. No one has used it as much and as well as Kareem. Instead of being knocked down a peg because he relied on the Skyhook, Abdul-Jabbar should be elevated for it. Abdul-Jabbar won his first NBA title with Milwaukee in 1971, then won five more with the Lakers. And uncomfortable as it may be, let’s not discount the off-the-court factors that have most likely played a role in Kareem not being as beloved and admired as Jordan, Bird, LeBron and others. Kareem wasn’t great with the media. He was labeled aloof and moody. He has taken some controversial political and social stands. He is a Black man who has been touched by racism and a Muslim who has been touched by religious discrimination and Islamophobia. But those are lengthier, deeper discussions for another day. It’s amazing that in this era of obsession over statistics and appreciation of efficiency that a brilliantly efficient, statistically dominant figure like Kareem Abdul-Jabbar is still underappreciated for what he accomplished on the basketball court. Sure, at the end of the day it doesn’t amount to much. It’s just rankings and unofficially lists and it’s all subjective. Kareem himself has enough humility and perspective to be comfortable with his career and his place in the game. But just because a man is not seeking praise does not mean he shouldn’t receive his proper due. Bs wilt smoked Kareem till his knee injury fact wilt benched five hundred pounds easy. Wilts one one vertical was almost to the top of the backboard when Kareem was asked could you touch the top of the backboard he said quote “no sir” to jump that high means wilt had power which means he had speed. Earl maniguault and wilt chamberlain are the best players ever and pistol Pete is next with Elgin Baylor next then Earl the pearl Monroe then Oscar Robertson then bill Russell then mj. You realize that kareem played seven more seasons than Mike, and played more minutes over his career than anyone else, which is why he has so many points, assists, blocks, etc. Jordan was 6 foot 6 and spent a lot of time on the perimeter, which is why he only blocked 1.5-ish shots a game, if jordan, with the same skills, played a 7-foot centre, he would rebound better, and block better, Jordan is a much better passer and scorer, Kareem simply had more time to add up those points, and assists.